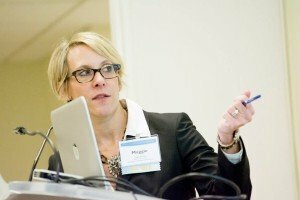 It’s been a few weeks since I posted about the then-upcoming changes to LinkedIn Groups that are likely to have a profound impact on associations who use LinkedIn as the platform for their member community. Since then, some of the changes have been rolled out: the promotions tab is gone from one of the groups I admin, along with all the posts that had been there; subgroups are no longer linked to groups; and activity overall seems to be way down–something that other group admins have also noticed. A few of the other changes announced by LinkedIn–the ability to post images and use @ mentions in conversations– don’t seem to have been implemented yet, at least not in the groups I admin. And the feature that is perhaps of biggest concern to associations, the mandatory jobs tab, has yet to be implemented. The ability to remove the jobs tab, however, has been turned off. But if your group had the jobs tab enabled, you’ll notice that now the functions within it when you click “Jobs”: “Search for a Job” and “Post a Job” (to LinkedIn’s job product) are there but if you click “Job Discussions” you just get a blank screen. 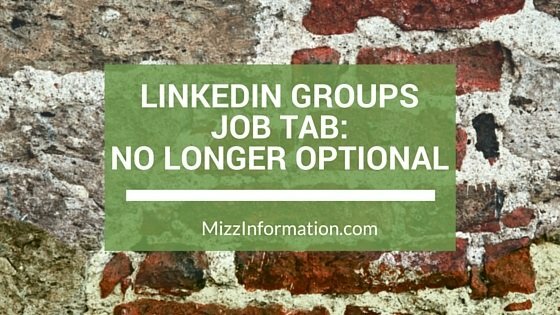 So the writing’s on the wall: associations will no longer be able to block job discussions within their LinkedIn groups or disable the jobs tab. How will this impact your association’s LinkedIn group–not to mention your bottom line?